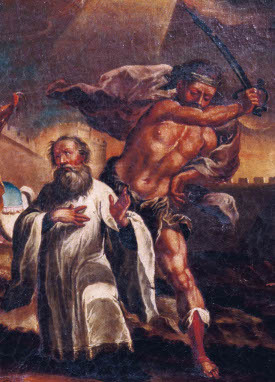 On this date 1,150 years ago, Eulogius of Cordoba was beheaded for blasphemy in Muslim Spain. Islamic rule in Spain was a century and a half old at this time; a period of relative comity among the Abrahamic faiths, it was nevertheless far from painless for Christians. Islamic law exerted some (usually) non-lethal pressure on subject Christians by tolerating them as second-class citizens, subject to restricted civic privileges and additional taxes. With apostasy from Islam to Christianity punishable by death, it engineered a steadily increasing Muslim proportion of the populace. Around 850, and continuing for the ensuing century, some Christians’ resistance to this arrangement would provoke periodoc repressions and a regular supply of martyrs. Eulogius, a priest renowned for his eloquence and education, became a prominent exponent of the emerging trend of missionary martyrdom — Christians intentionally blaspheming Mohammad to a Muslim judge for purposes of drawing an exemplary death sentence. We can readily infer that Eulogius’s support for such behavior was controversial; surely missionary martyrdom escalated tensions between the comingling communities in ways potentially troublesome for the go-along, get-along crowd. And Christians had good reasons to go along and get along: they could enjoy positions of wealth, influence and comfort, along with unencumbered worship. 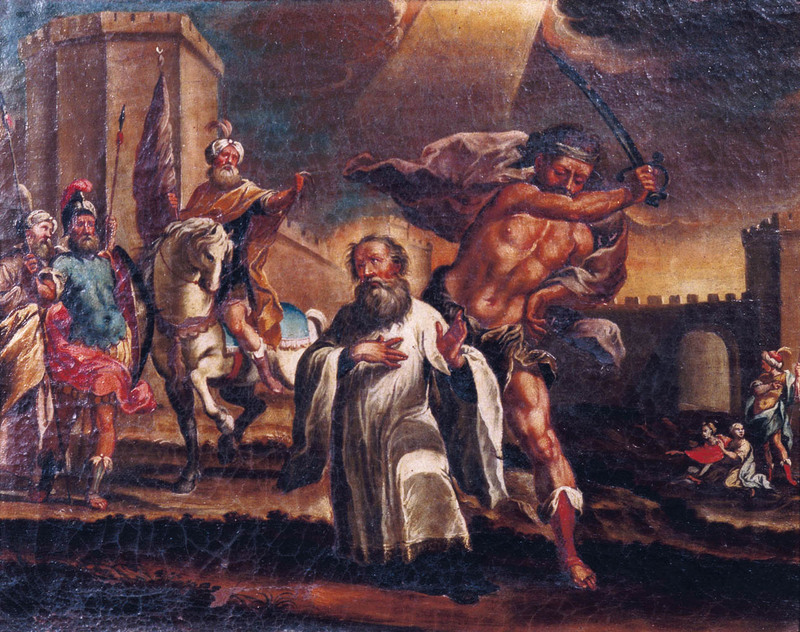 Bishop Reccafred of Cordoba attempted to squelch any appearance of official support for these fire eaters, and threw Eulogius and other priests in prison after promulgating a decree against the martyrdoms in 852. Naturally, this made him a sellout in the eyes of the militants; Eulogius took a firm line against any attempt to derogate the martyrs of a fellow monotheism as unequal to the ancient martyrs of pagan Rome. The Cordoban martyrs’ movement claimed a few dozen lives over the 850’s — a hagiography records 48 — some taking inspiration from Eulogius’ Exhortation to Martyrdom. The author of that tract eventually followed his own advice. Caught sheltering an apostate Muslim (she was executed a few days after Eulogius), the priest got into it with the Islamic judge, denounced the Prophet, and earned himself a death sentence. The story says he even literally “turned the other cheek” when struck by a guard en route to his decapitation. Eulogius’s apologetic treatises are important, then, not only as evidence of the wide spectrum of Christian responses to life under Muslim rule — from outright rejection to almost complete assimilation — but also as one of the earliest extant sources for Western views on Islam. St. Eulogius’s life gets a somewhat more detailed treatment (from an apologetic perspective) in The Lives of the Fathers, Martyrs, and other Principal Saints, a Google books freebie. Part of the Themed Set: The Church confronts its competition.